Concrete Curing Blankets - Concrete Curing Covers | Reef Industries, Inc. 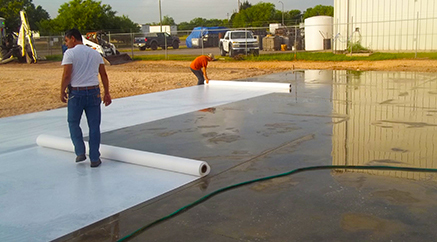 Depending on your needs, Reef Industries provides both single-use and reusable wet concrete curing blankets. Both product options maintain optimal moisture content during the concrete curing process as recommended by The American Concrete Institute (ACI). Lack of sufficient moisture may cause cracking, dusting, scaling and crazing. All Transguard® products comply with ASTM C-171 for light reflection. Transguard® 2000 is a disposable, lighter weight indoor/outdoor wet curing blanket engineered to hold moisture and provide constant hydration for up to seven (7) days. Since this product is disposable, it eliminates cross contamination between slabs. Transguard® 2000 combines unpigmented non-woven polypropylene fabric to help maintain moisture with a white polyethylene membrane to minimize heat and limit evaporation. 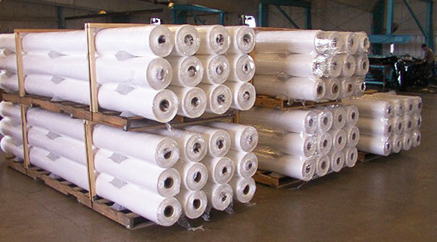 A roll of Transguard® 2000 measures 8’ x 200’ and weighs approximately 54 lbs. TG2000 is not recommended for floor protection. Transguard® 4000, the first patented concrete curing cover, is rugged, durable and often reused for many projects offering exceptional cost effectiveness. 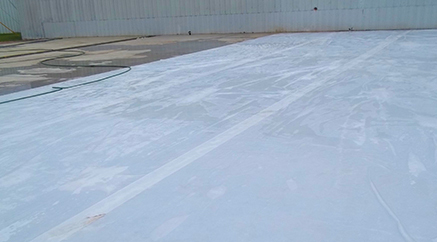 This reusable concrete curing blanket has a high water retention rate that helps maintain appropriate moisture levels during the concrete curing process. The concrete curing covers protect against light foot traffic, and does not protect against heavy machinery or heavy equipment. Transguard® 4000 is manufactured of synthetic materials to avoid concrete staining common of other covers. Transguard® 4000 concrete curing blanket is available for immediate shipment. Our concrete curing covers can be used in a variety of industries and applications. Common applications for concrete curing covers are large flatwork projects and bridge decks. No matter what industry you are in, Reef Industries is guaranteed to have a concrete curing cover for your project and application. We do not offer custom sizes. 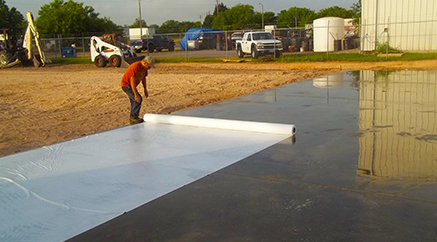 Transguard® 4000 is a natural colored polypropylene non-woven fabric used to protect the surface of your concrete during light construction projects.